 The India Platform organised separate sessions on four of its focus areas in the course of February-March 2014. Experts and interested participants from Flandres (BE) were invited to participate. Thursday, February 6th, 2014, 17.00 h.
Thursday, February 20th, 2014, 17.00 h.
Thursday, March 6th, 2014, 17.00 h.
Thursday, April 3rd, 2014, 17.00 h.
In Autumn 2013 the India Platform organised three events: a Roundtable and Symposium on a possible India strategy for Belgium, Wallonia and Flanders towards closer and increased collaboration in science and innovation and a welcome evening for the new Indian students and researchers at Ghent University and for Indians and Belgians with an interest in project collaboration. On all three occasions we thought about ways in which Europe and India can help each other in solving their respective needs and problems. This question, which is central to the India Platform vision, has lead us to identify five focus areas: school education, health care, waste management and agriculture, urban planning and architecture and social sciences. In order to build further on the results of the three events organised in 2013 and respond to the need to focus and collaborate, expressed by many participants, we are now organising smaller focus group sessions on four of the India Platform focus areas. The theme of social sciences will be taken up in all four sessions. In case you were not able to participate in the sessions, but you are interested in one or more of the focus themes, please do not hesitate to let us know. We will keep your name and contact details in our database and communicate our activities according to your domain of interest.